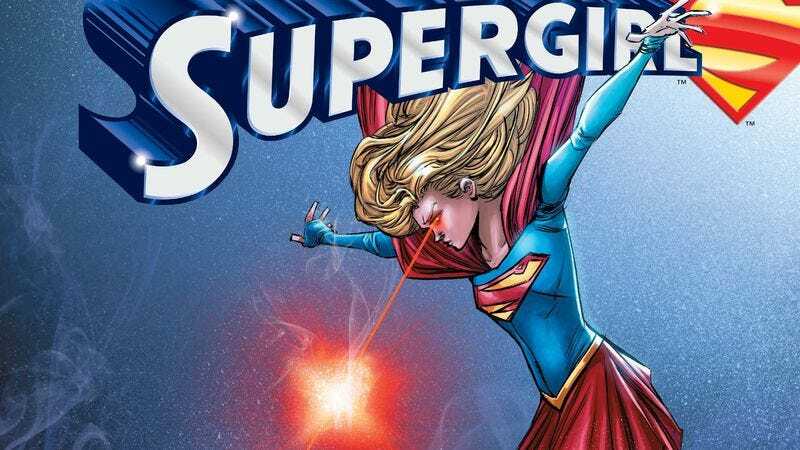 The Supergirl TV series returns tonight on a new network, The CW, and unlike last year, DC Comics has a new Supergirl comic ready to capitalize on the show. Writer Steve Orlando has been doing exceptional work at DC over the last couple years, and he’s revitalized Kara Danvers for DC Rebirth by delving deep into the alienation Kara feels as a literal alien trying to pass as human with her new secret identity as a high school student. She’s having trouble letting go of her Kryptonian past and becoming accustomed to primitive Earth culture, and that process isn’t going to get any easier now that her dad is back in her life as the latest incarnation of Cyborg Superman. These preview pages of this week’s Supergirl #2 show that Kara’s reunion with her father is far from heartwarming, and she immediately reacts with skepticism and aggression when she sees the villainous visage of Cyborg Superman. These emotions are clearly depicted in Brian Ching’s art, and one of the best things about his work on this series is the youth he brings to Supergirl, intensifying her adolescent feelings by making her look like an actual teenager. He also draws spectacular action, as evidenced by the brawl that breaks out between Kara and her father in the Fortress Of Solitude, with Mike Atiyeh’s coloring increasing the tension between the two relatives by pumping up the hot and cold contrast. Readers can see how this fraught reunion plays out on Wednesday. In the meantime, check out The A.V. Club’s interview with Steve Orlando to learn more about this fresh take on Supergirl and her world.